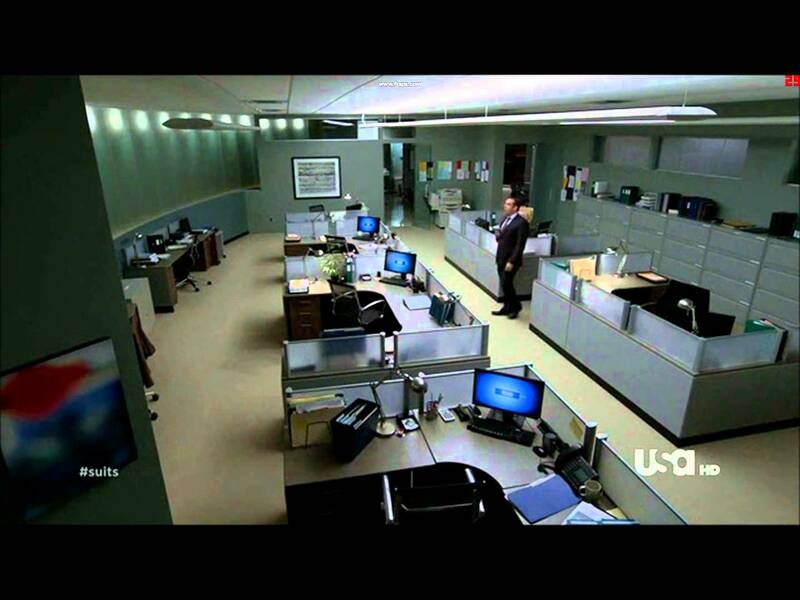 I thought it would be interesting to have a look at some of the workplaces featured in popular TV shows and what they mean for creative endeavor. I’d love to get your thoughts on these or other TV offices also! For the supposedly top law firm of Pearson & Whatever Season You Are Up To, the offices they work in are extremely traditional. The partners’ offices are around the outside of the building and share among them all the windows that open to the outside of the building. It is a hierarchical layout – where you sit is based on the organisational hierarchy (read more here). The newer staff – the associates share small cubicles in a dark space with no windows. Based on the overall layout of the Suits offices, it is no surprise that Jessica Pearson’s (the Managing Partner) office is the largest. It is a traditional display, firstly, of power, and secondly, of the rewards you might receive if you work hard at their company. I note here that it is generally accepted that those who are creatively-minded are not inspired by material rewards, but rather through their work so this is not a strategy to promote creativity and may have a negative effect on it. Jessica’s office, like those of all the partners, is bounded on one edge by the external wall of the building and on the other by full height glass that looks into the internal of the offices. The Practical designer will see this as a necessity to allow natural light to penetrate into the inner office spaces. However, this has the effect of severely reducing the privacy of these offices. You will notice that all the partners have positioned their backs to the external wall – even though this would in reality mean lots of glare on their computer screens. This gives some much-needed privacy regarding what they are doing on their computers (read more on the importance of privacy here). Like many of the spaces on the Suits set, Jessica’s office is full of personal artifacts. However, Jessica’s seem a little less personal than others. With items such as books on architecture and travel many of the items, while personal, also describe a carefully curated story to anyone that comes in. What Jessica’s space is doing is describing that she is in charge but sometimes she has to be “Your boss” and not “Jessica.” Jessica has set her space up to help describe this. When she has to have the tough conversations, they are to be seen as her following policy and just doing her job. In this way she can maintain the relationship you have with “Jessica.” This is important for maintaining trust. This shows us this is a space where Harvey feels free to express himself – he is relaxed and without fear. The amount of personal affects will only serve to reinforce this idea. We constantly see in the show, this is where Harvey likes to do most of his thinking. Even after hours – he won’t go home, he’ll stay in his office to contemplate. 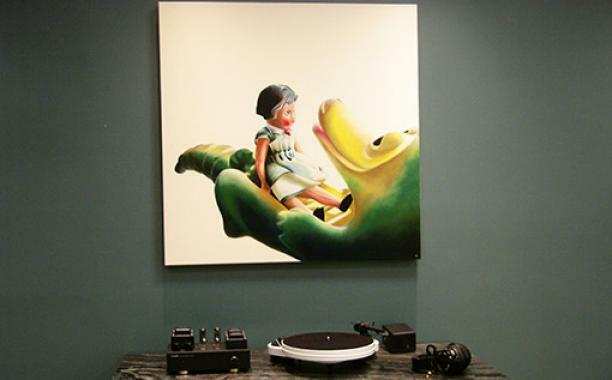 Having personal artifacts around shows ownership of a space – even to the owner. 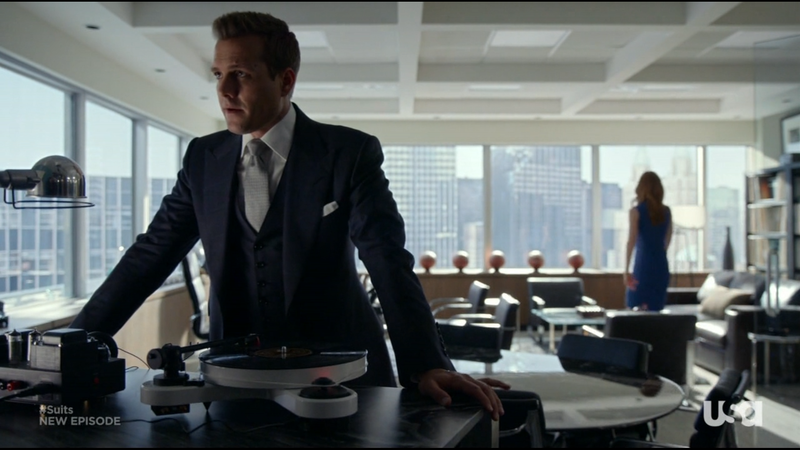 What is interesting about Harvey’s working arrangement is the fact that Donna (his secretary) will listen in via intercom to everything that is said in his office. I suggest this is only possibly due to the amount of trust in his relationship with Donna (she is much more than just a secretary). However, because this is the case, Harvey has a good backup mechanism of capturing ideas and actioning them fast – something essential for creativity and innovation. Donna will often do things for Harvey before he even has to ask. Unfortunately, you can’t make this sort of relationship happen and as such, Harvey’s situation certainly isn’t for everyone. 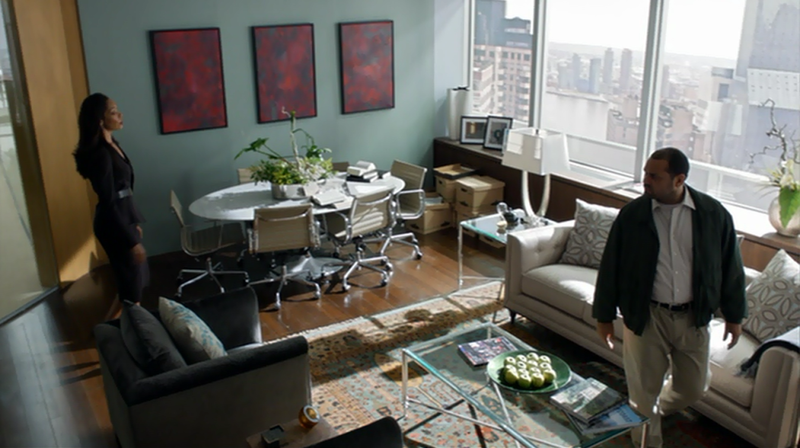 The other interesting aspect of Harvey’s office is the fact that there is a couch that faces his desk. 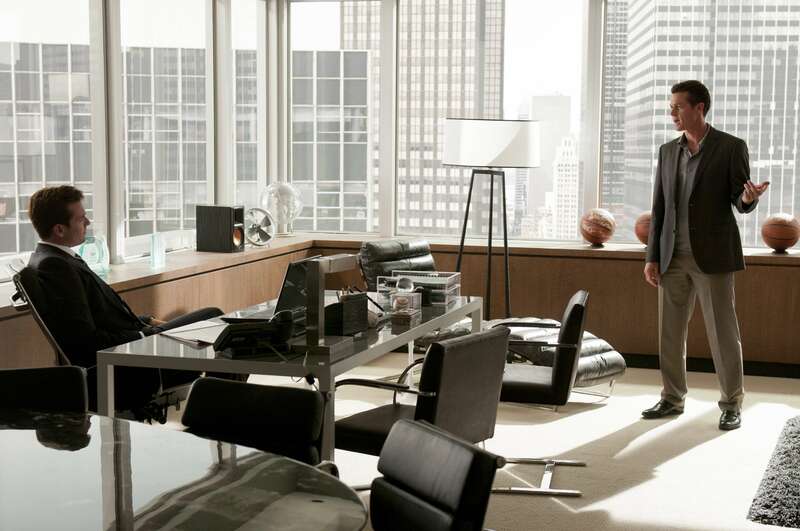 This means Harvey can sit at his desk and talk to someone seated on the couch. Maybe this is a bit of a power play by Harvey (potential to sit higher than the other person), or maybe it’s actually to make people relax more. Whichever way you view it, this has the effect of bringing the relaxing space into the business space. Typically, stronger definition between spaces is better: a stronger sense of place can prime the kind of actions you perform there. Harvey runs the danger of never being able to fully relax in his office because his relaxing space is blurred with his work space. 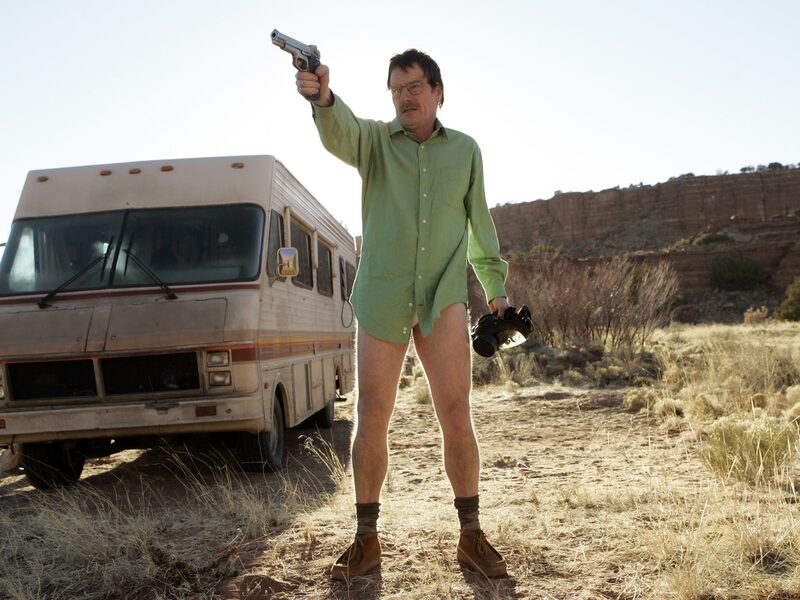 Perhaps this is why he’s the only character that seems to go out for hot-dogs and bagels through the day. The associate workstations are in a typical grid cubicle layout. There is more that isn’t here to talk about, rather than what is. There is a lack of privacy – visually and audibly – meaning staff will actively try to conceal their work, reducing the chances of collaboration and decrease productivity. There are very few personal artifacts, meaning staff will not feel ownership of the space – they will feel as though they are temporary and not truly part of the organisation. This can contribute to a lack of trust, meaning they will not undertake, on their own, activities beneficial to the organisation – commonly referred to as Organisational Citizenship Behaviors. The associates also do not have any breakout spaces – only the kitchen (in Suits we see a lot happening in the copy room, or the filing room or the library). There is nowhere to go and have a conversation with someone, no quiet place to think or buzzing place to connect. There is no variety to the space that can stimulate different modes of thinking. The initial feature of this office is the large windows on seemingly at least two walls. This provides a lot of natural light, the benefits of which are well documented. The ceilings are also particularly high (especially for what seems to be a high-story building). A voluminous space such as this gives a sense of freedom to employees. The sense of being able to occupy space is important for creativity. This is linked to the body language of those who are in it. Studies show extroverted personalities will be more comfortable with ‘taking up space’. For example, stretching out their legs, putting their arm around the chair next to them, etc. Studies also show that, when it comes to body language you can fake it ’till you make it. By using the body language of extroverts, you can increase confidence and extroversion. This is important to empower employees to feel confident in bringing forth their ideas. Read more about body language here. On the flip side of this, there is very little privacy in this office. Workstations are open and everyone’s work and working habits seem to be on display. Further to this, there is very little definition between spaces. In some shots you can see a boardroom table two meters away from a workstation. It would be practically impossible to have a productive meeting at this table, while other staff are undertaking work at their workstation. This other problem with this poor definition is it does not suggest to employees what activities they could be doing in what space. The space they are in will not stimulate how they think. If the freeing characteristics of this space – large ceilings, lots of light, separate desks with ample space between them – can mitigate the lack of privacy and definition of space, the result could be a very collaborative office. With the right management techniques, the fact that everyone’s work is on display could actually create the chance for “accidental” collaboration. This is the hall where public announcements and functions for the city and kingdom are held. This space, however, also has to act as a forum where citizens can bring matters up for discussion among the leaders. Consider the equivalent space at work. Where do you rally your staff? Where do you make your company announcements? Or, do you only do it over email? Political rallies and demonstrations are held for very significant sociological reasons. Showing a united front is important for those that form part of that front. Having a foyer, lobby or breakout space can actually be very valuable for a business. These spaces are typically reserved for the largest office buildings, which need them for circulation requirements. For other businesses, they are a missed opportunity. They don’t have to be as big as the Red Keep Great Hall, but a place where staff can gather informally for their own reasons, or formally for leaders to address workers can be important. This is the total opposite to the above. Name of the game here is minimizing distractions. When key decisions need to be made you need focus among your team. Forget when Game of Thrones is set, consider that everyone in the Small Council (pictured above) is there in person. There are no phones, no emails, no interruptions. There is very little connection to the adjacent spaces. You need this sort of extreme for when deep thinking is necessary. This represents the extreme of mobility. As the internet of things becomes ever more prevalent, hot-desking, flexible working conditions and hours becomes more prevalent also. In this arrangement, the location is of utmost importance and functionality, commodity and sense of place are sacrificed. This is frequently the case in workplaces of regular offices. The ability to switch up your location quickly and easily, however, does have a few advantages – particularly in regards to creative progress. A new environment provides new opportunities for learning and can stimulate new ideas and ways of thinking. In addition, there are certain situations where the execution of an idea requires attention at a certain location. A clear example of this would be the construction of a building – commonly there is an architect appointed to stay on site an ensure the ideas are executed, but to also apply the same thinking pathways defined in the existing ideas to new problems. The drawbacks – as mentioned above – are too strong to make flexible and off-site work advantages as a permanent solution, but in certain project phases and business cycles, some travel can be invaluable to increase your pool of inspiration. I do not own images used in this post. Images used copyright respective owners. 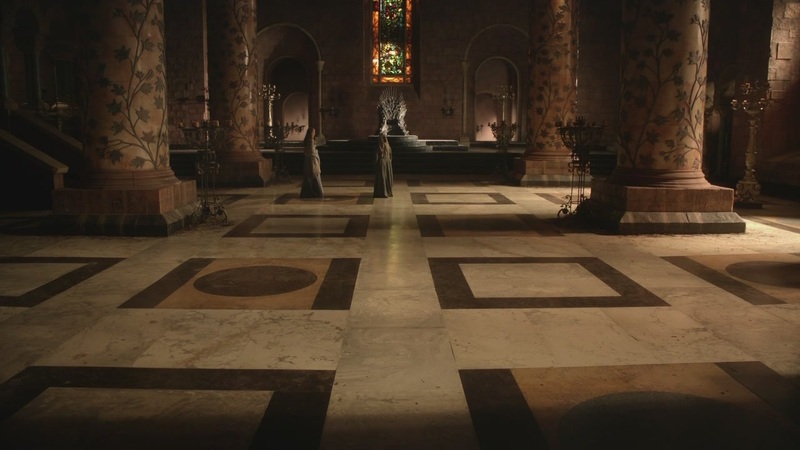 I like your article, and I’d like to offer an observation on your Game of Thrones Great Hall:Small Council room comparison. 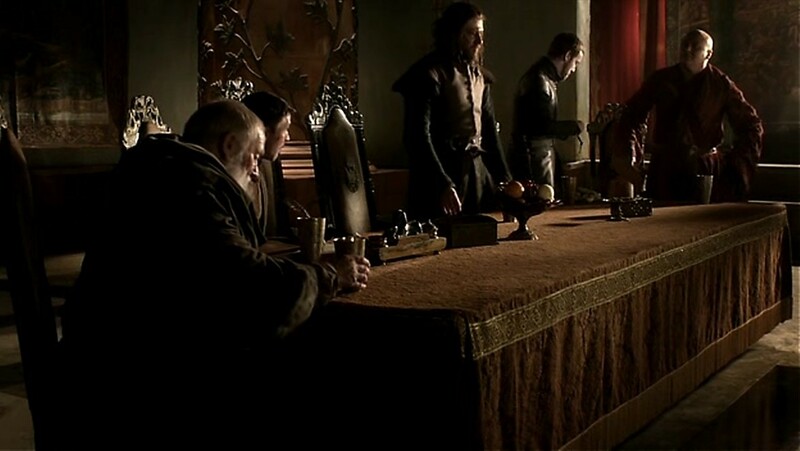 In the 3rd season, Tywin Lannister, the Hand of the King, began holding the small council in his private chambers in the remote Tower of the Hand. This made it inconvenient for the king to attend, since previously the small council chamber was near the throne room. This was a bold move from Tywin, essentially saying that all power and legitimate authority came from the Hand, not the king, which I felt was a bad move on Tywin’s part, since Joffrey needed as much of the trappings of authority as he could get, since his illegitimacy was being discussed openly across the kingdoms. 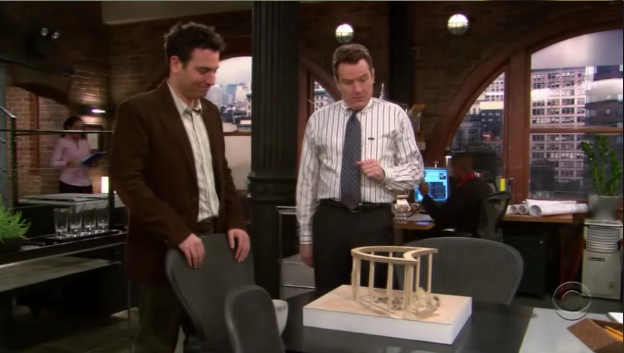 Anyway, it might be interesting to examine Tywin’s chambers where he conducted business with a similar architectural analysis. Right on, I’m glad I could offer a small contribution. Thanks for the feedback!